First off, we look ahead on the local tech calendar. Rich Pyle and Mike Wilson are here from the Bishop Museum to tell us about a new exhibit, Journeys. Also, Beverly da Silva from the ESA law firm is here to tell us about their upcoming tech conference, Envision Strategize Actualize. Finally, after the break, we find out about the latest launch of “Project Imua” from NASA’s Flight Facility in Virginia. 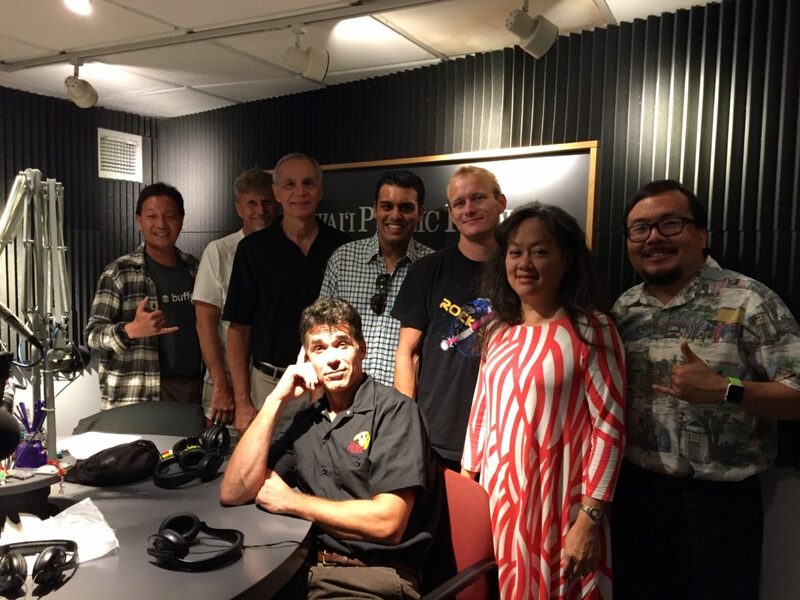 Joining us are Joe Ciotti, Directer of the Center for Aerospace Education at Windward Community College, and students Cale Mechler from WCC and Onkar Nerukar from Honolulu Community College.